Let the PD Coordinator know if you have other submissions or would like your school-based PD event shared with/for others. I'll update a little closer to Nov 29th. 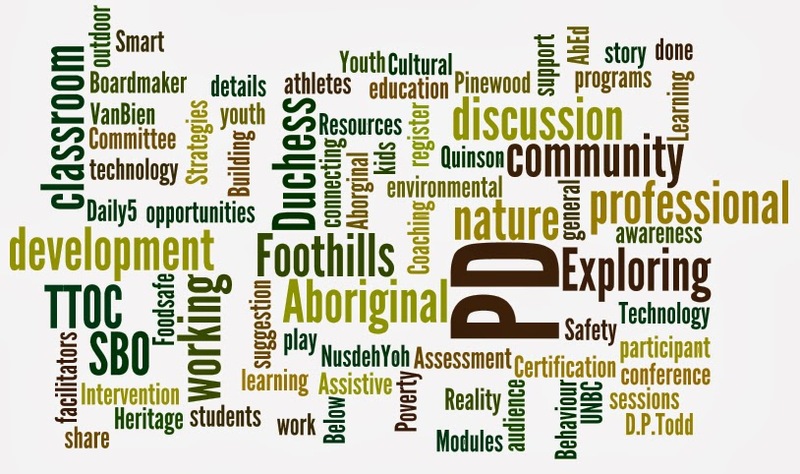 Don't forget, these 5 PD days we have each year are for your professional development. They represent the formal PD time that adds to all the informal PD you do through-out the year. They are 100% up to you as professionals to decide how to use (within some contractual goal-posts and generally accepted definitions of what constitutes PD). 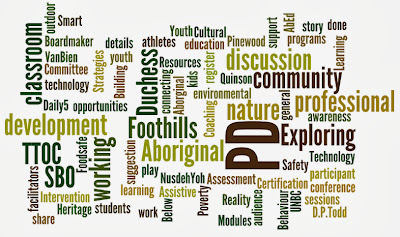 Know what PD means, what you want to get out of a PD day, and use them well! The PD Committee would love to hear how your Nov 29th day goes -- feel free to share your story.